12,000 attend the inauguration of ISKCON Farmington Hills, Michigan including a congresswoman and Mayor. On the weekend of April 20th, 2018, Radhanath Swami joined the devotees of ISKCON Farmington Hills, Michigan, and other guests, as together they inaugurated their new temple and installed the beautiful deity forms of Radha and Krishna (Sri Sri Radha Gopijan Vallab). The festival was filled with unforgettable moments that will treasured by all who attended. 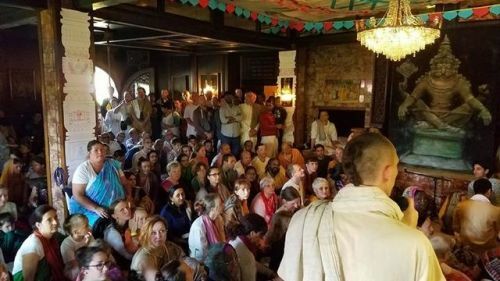 On Friday, Radhanath Swami participated in the installation of Srila Prabhupada’s murti with other god brothers and sisters and attended the first arati as Virabadra Ram Das, visiting Executive Director of New York’s Bhakti Center, led a rousing Guru Puja kirtan. Later, Radhanath Swami presided over the netronmelan (eye opening) ceremony of Sri Radha Gopijan Vallab. Auspicious items were shown to Radha and Krishna as the gathered community had their first chance to see Their beautiful forms. The next day Radhanath Swami took part in Pran Pratishta ceremony wherein Radha and Krishna are invited to reside in the temple. Then he spoke at length on the significance of the rituals of temple worship. 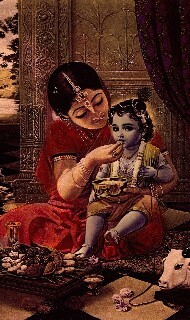 Later, he witnessed the Abhishek ceremony of the deities. Local congresswoman Christine Greig and Farmington Hills Mayor Ken Massey of were present for the occasion. 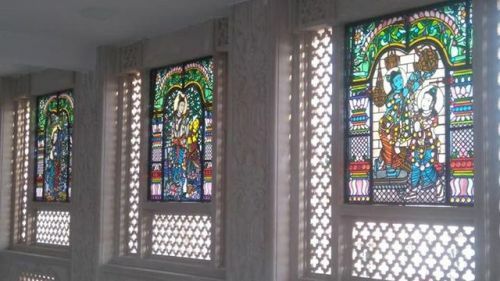 In the evening Radhanath Swami did the first Maha arati to the deities and then took a guided tour of the newly renovated temple building and met with many of the local devotees. On Sunday morning he gave Srimad Bhagavatam class which Christine Greig also attended. 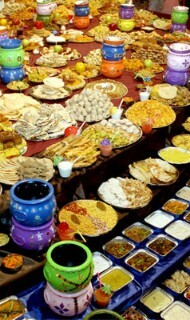 Approximately 12,000 guests and devotees visited the temple and attended the festival. Mithiladhisa Prabhu ACBSP, left this world yesterday morning on the holy day of Ekadasi. Srila Prabhupada: Our whole program is surrender. And these Western boys, they do not want to surrender to anyone. Is it not? There is no question of surrender. They have surrendered [laughs] to some extent to me; that is wonderful. Otherwise, there is no question of surrender. And our business is surrender. Unless you surrender fully, there is no progress. 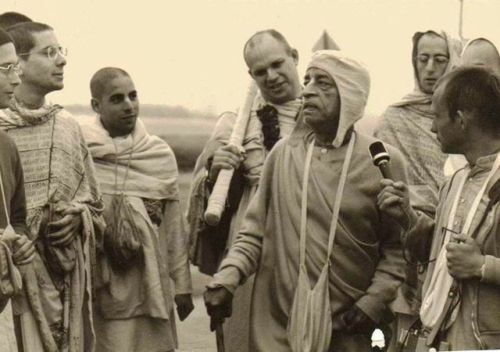 Srila Prabhupada, Room Conversation – January 3, 1975, Bombay. 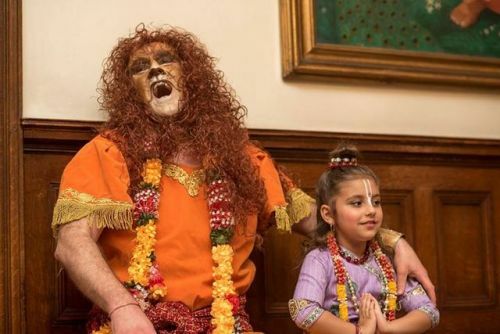 Radha Mohan Das: Bhaktivedanta Manor had elaborate Nrsimhadeva caturdasi celebrations last Saturday. The morning included a children’s drama, a fire yajna, a special class and many participated in a huge Hari nama in central London. In the afternoon there was abhiseka and to round everything off before the feast, the Bhaktivedanta Players had the audience riveted with a lively drama depicting the pastime of Lord Nrsimhadeva and Prahlad Maharaj.